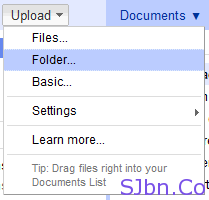 Today in this post I will tell you how you can upload multiple files or a folder to Google Docs. 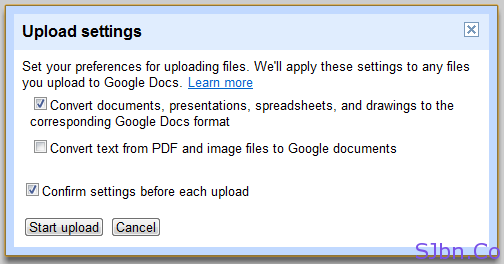 In case if you want to upload many files to your Google Docs account and uploading each file one by one become hectic so Google have added some new features by which now you can upload multiple files or a folder to your Google Docs account. You will get upload Folder option by in Upload menu. Before your upload gets started you will be asked if you want to “Convert documents, presentations, spreadsheets, and drawings to the corresponding Google Docs format” and if you want to “Convert text from PDF and image files to Google documents”. Or if you want to upload multiple files just select all the file you want and drag-drop in your document list and it will start getting upload. And while your files or folder is getting upload at bottom-right hand side you will see a pop-up where you will able to get the details of your uploading process. Note: – This may only work in latest version of Google Chrome, Epic, Firefox and Safari browser.